The electronic models were specifically designed for manufacturers who need extraordinary precision and control of particle dispersion. These units provide a means of achieving extremely precise particle size reduction/dispersion in a remarkably reproducible format. 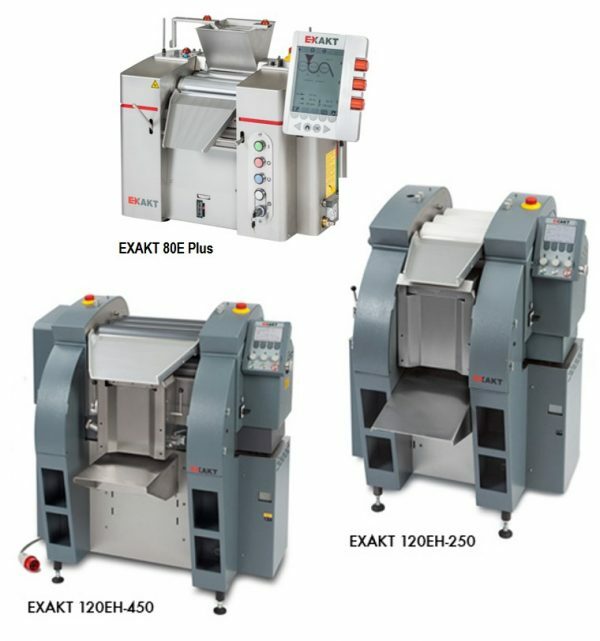 The Electronic models are great for product development, pilot plant projects, and small production runs. Electronic models allow you to control the gap between the rollers in two modes: gap and force mode. Efficient – fewer multiple runs than the competition. Fineness from micro to nano. 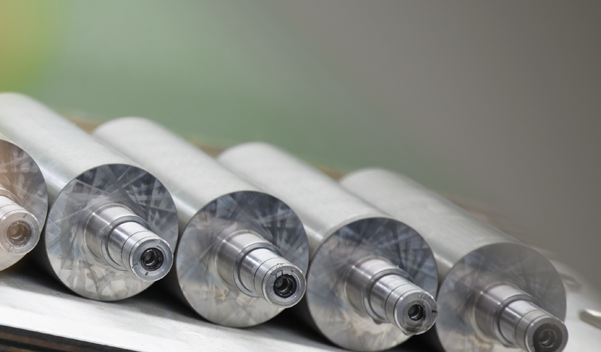 One-pass calibration – automatic adjustment of the base point and parallelism of the rollers. Electronic display and documentation of processing parameters. Scale-up from the laboratory to production. Operational parameters can be stored in programs including sub-programs for products requiring multiple process runs. Roller speed and gap settings can be set in either gap or force mode. The control system will default to the last program run on the mill when the main power supply is turned on. 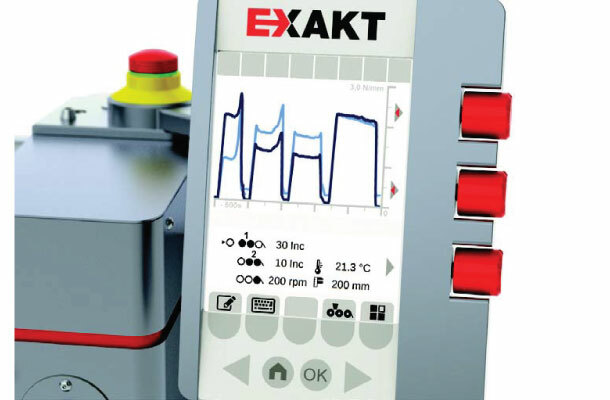 EXAKT DataLog software (optional) allows users to transmit real-time operating parameters via a USB interface. 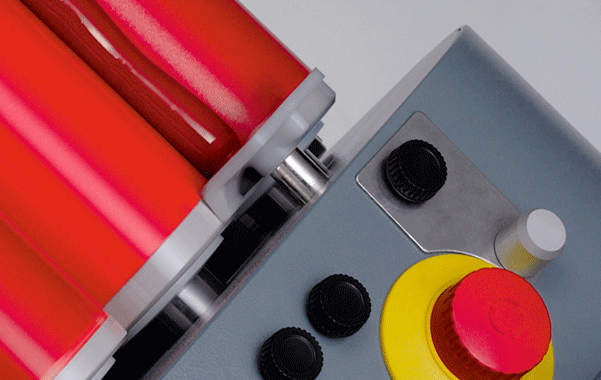 All three toll mill electronic models meet or exceed the safety requirements specified in ANSI.